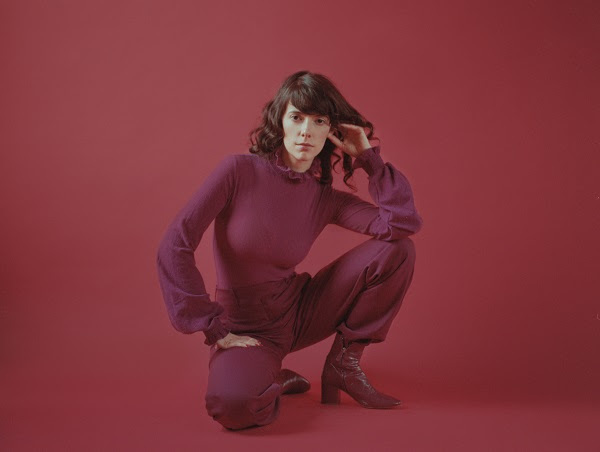 Natalie Prass had her new album written, her band ready, the recording studio booked. Then the 2016 election happened, and out of her despair and disappointment in those results came an impulse she could not ignore: she rewrote the album to reflect these swirling emotions. The result is The Future and The Past, out Friday, June 1 on ATO Records via [PIAS], a stunning snapshot of a musician in a state of personal rediscovery and surging femininity. The celebratory and defiant The Future and The Past also signals a significant artistic leap for Prass on the heels of her 2015 breakthrough debut album. It finds Prass tapping into deep, dancey grooves that glisten with 80s pop and 90s R&B, nestled alongside quivering, lushly orchestrated ballads. Like her debut album, Prass made The Future and The Past in Richmond, VA with long-time friend and collaborator Matthew E. White at his Spacebomb Studios. She added some new collaborations to the mix as well: Blue (Solange’s A Seat At The Table, Blood Orange, Carly Rae Jepsen) and Michael Brauer (Elle King and James Bay). Future is ripe with string orchestrations and piano flourishes, snaking synth lines and fuzzed out guitars. Natalie’s 2015 self-titled debut earned raves from Rolling Stone, Pitchfork (Best New Music), The New Yorker, NPR, and more. She played Bonnaroo, toured with Fleet Foxes and The War on Drugs, and appeared on HBO’s Vinyl (as Karen Carpenter), Jools Holland and CBS Saturday.